Shares of AlarmCom Hldg Inc (NASDAQ: ALRM), a cloud-based home automation and monitoring services company, were upgraded by Jefferies ahead of the company's earnings fourth-quarter earnings report on Feb. 27. Jefferies analyst John DiFucci upgraded AlarmCom from Hold to Buy and increased the price target from $44 to $46. Jefferies estimates a $9-million increase in non-GAAP net income and a 11-percent increase in operating cash flow fo AlarmCom thanks to the tax cut. Legal costs could decrease going forward, as they dropped from $13 million in 2016 to $5 million in the first three quarters of 2017, DiFucci said. 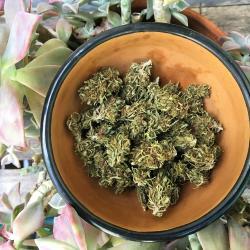 The analyst projects large commercial and international market opportunity for the company. 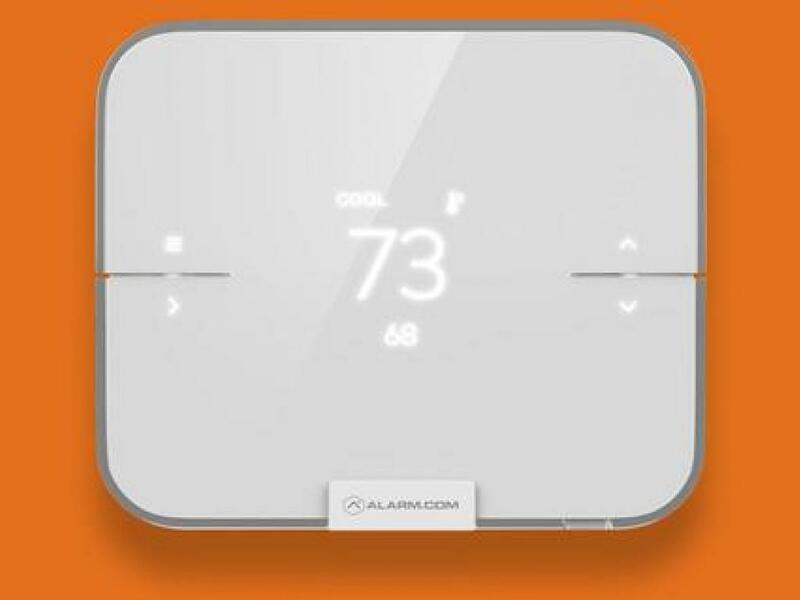 Although AlarmCom's smart home offering could become a much bigger business over time, DiFucci said larger entities could enter the market, making it difficult for the company to grow. "ALRM currently trades at 7.0x NTM subscription revenue, which we believe to be reasonable for a company organically growing subscription revenue at a mid-to-high teens rate and is profitable," he said. Jefferies sees AlarmCom as one of the few publicly traded assets tied to the increased automation of the home and the broader IoT market. AlarmCom shares are up over 19 percent over the past year. At the time of publication, AlarmCom was up 2.64 percent at $39.28. 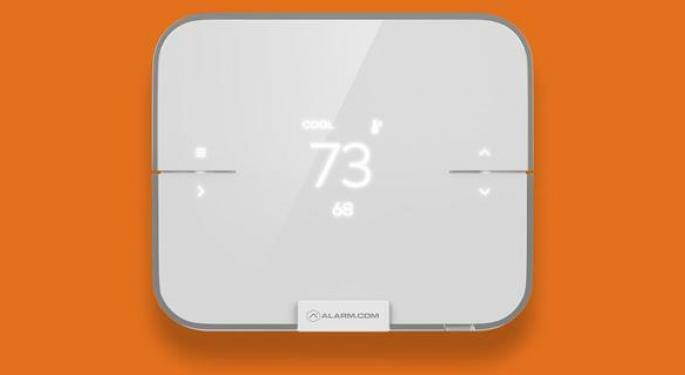 An AlarmCom smart thermostat. Courtesy photo.